Mircrodermabrasion is a clinically-proven technique to improve fine lines and wrinkles, stretch marks, pigmentation, sun damaged skin and scarring. 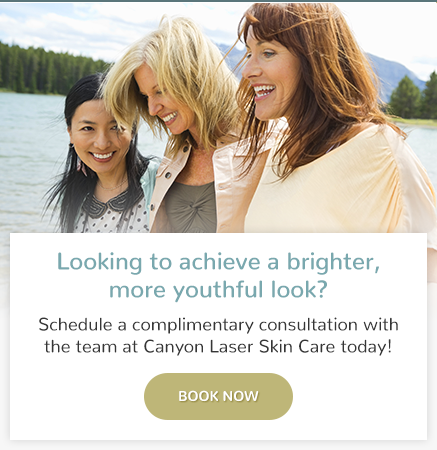 Ask our team at Canyon Laser Skin Care in North Vancouver about microdermabrasion treatment today. Microdermabrasion is a highly effective treatment and is one of the most innovative and sought after means to achieve younger looking skin. Microdermabrasion buffs and polishes the skin, resulting in a healthy glow and helps alleviate fine lines, pigmentation, acne and dull dry skin. It is a safe, non-surgical, comprehensive and progressive approach to skin rejuvenation therapy with no downtime. Microdermabrasion skin treatments exfoliate and buff the skin through a mechanical process. Our medical grade microdermabrasion system uses three specially designed, state-of-the-art subsystems: a vacuum system, a compressor and a patented handpiece with a tubing interlink system, resulting in a very gentle and controlled exfoliation of the skin. The treatment removes dead surface cells and clears the pores of debris. Over time and treatments, pigment fades away and surface irregularities, such as fine lines and acne scars, begin to soften. The vacuum suction can be increased depending on patient tolerance for more aggressive blackhead clearance. Sloughing off the uppermost layer of the skin reveals a fresher, younger-looking face. Patients will notice an immediate improvement in their skin’s texture and appearance. Regular microdermabrasion sessions are a perfect treatment for keeping superficial lines to a minimum, and active skin products will penetrate better following microdermabrasion. Microdermabrasion can be combined with other non-invasive cosmetic procedures, such as IPL Photo Skin Rejuvenation, Skin Tightening, Botox, Cosmetic Fillers and Skin Revitalizing Peels. What are some benefits of microdermabrasion? I had a microdermabrasion and could see the results immediately. Great experience and wonderful staff.